Come join me for a fireside chat where I share insight, mentoring, and my years of experience as a nationally recognized leader and Graduate Dean. Fireside Chat: Are we there yet? Or did we get stuck in the “Mud of Dunland”? How do you begin to understand the road or journey to research? While I’ve been conducting research for many years and have mentored graduate students in the research process, I always stop and reflect. I need to remember that first-year graduate students are novices and they are not familiar with journey. Think about the town, village, city you grew up in — you know it like the back of your hand – but to first-time visitors it’s uncharted territory. It is like learning to drive a car – trying to figure out how to coordinate every aspect of moving that vehicle safely down the road to your destination. While I know it’s automatic for me to know the research process, what questions to ask or what methodology to use, it’s not always clear to the beginning graduate student. For the novice, trying to figure out where to begin or what to do can be daunting and as clear as mud! What is research? I like to think about it as exploration. A journey. A systematic investigation that varies by field or discipline, but in the end, we are asking questions to find answers to problems in a way that others can 1) understand what we did and 2) they can repeat what we did because we provided a clear road map for them to follow. 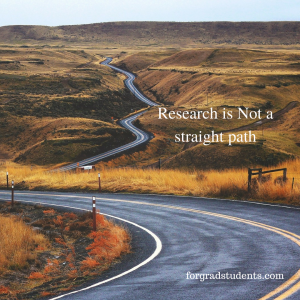 Research is not a straight path. It’s not an easy path. The road is not smooth or paved. There are many potholes and detours along the way – that’s why I love doing research. We make choices or decisions and these choices impact and affect the next decision on our journey. It’s discovery at it’s best. 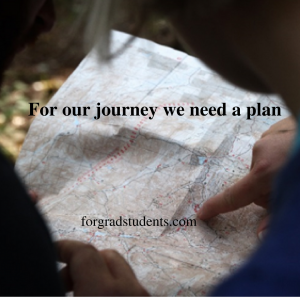 Since this is a journey, we need a plan, we need a map, GPS, Google Maps, or a path to follow. We need to record our journey, so others can follow our path and know where the pitfalls and potholes are. They need to know where we went and how we got there. 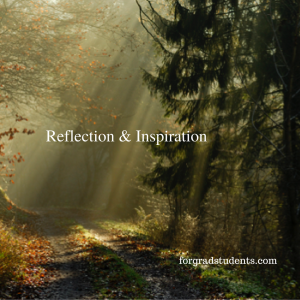 We need to reflect along the journey. It’s important not to just look forward, but rather, to reflect and look backwards. You can learn a lot from reflection. From reflection comes inspiration. 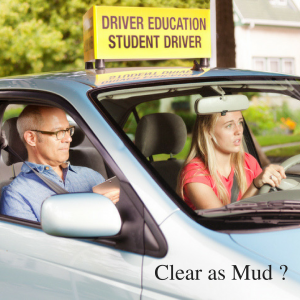 Be careful – you don’t want to drive constantly looking in the rearview mirror. The research journey starts with a clear problem statement or question. When we start, many times our questions are foggy, not well formed, not concise or clear. This is why I always recommend to my students that they should write their problem statement down and then talk about it. Talk about that problem statement to everyone. Everyone who will listen. Why do I suggest this to my students? It’s important that we know where we are going. The problem statement or research question needs to be clear and concise. This will assist us to know where we are going and inform others. What my students find out is that by talking about their problem statement to others, there will be questions – many questions. Questions asked of them that make them think critically about their research problem/question. This process assists them to move from fog to clarity. In the end, they will have a problem statement that is clear and concise. Choices must be made along this journey. Just like traveling to an unfamiliar destination, you will have choices to make. For example, which turn to make. Which fork in the road to take. What to do when you approach an unexpected detour? Research is much like that unfamiliar journey. Your choices will come from many questions and a lot of thoughtful reflection and guidance from your major professor and committee. Such as, what will the experiment or research design look like? How many samples will be needed? What to sample? When to sample? How to sample? How will you measure your results? What will you measure? How will you collect your data or observations? What empirical evidence will you collect? What will you do with the information or data you collect? What type of analyses will you do? How will this assist you to the conclusions you can make? All of these are the choices you need to think about and plan before you begin. What you will find out is that when you finish you will have the next set of questions to ask. And your journey continues. Remember it’s a journey. Enjoy it. It’s a process with lots of unexpected turns and outcomes. Posted on July 18, 2018 July 18, 2018 Categories Research Process, Research SkillsTags dissertations, important skills, Problem Statements, Research SkillsLeave a comment on Fireside Chat: Are we there yet? Or did we get stuck in the “Mud of Dunland”?